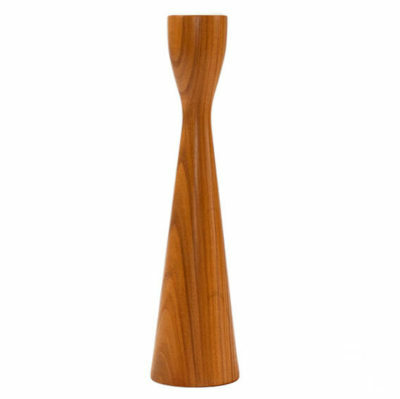 This unique design wooden candle holder of beautiful cherry wood enchants your table and ensures lasting impression. The simple slender female silhouette takes elegance and class to your table, regardless whether a dinner for two or a dinner for many dear guests. The wild grain cherry wood gleams from delicate olive to deep golden red. 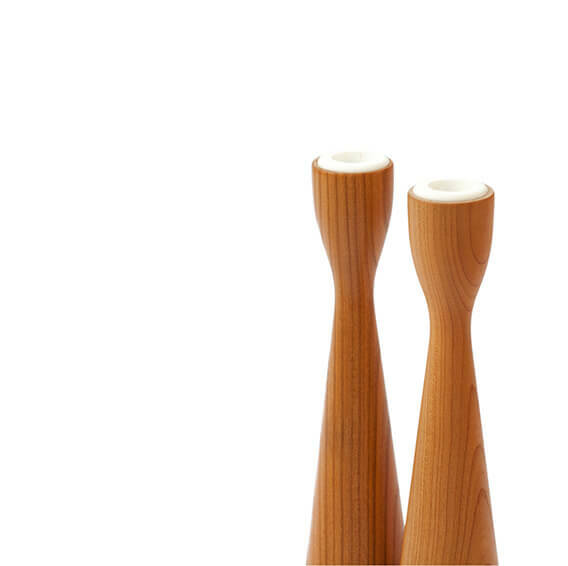 As an exceptional contrast we have used a spout of brilliant white ceramic.